The National Cadet Corps is a Tri-Services Organization, comprising the Navy, Army and Air Force, engaged in grooming the youth of the country into disciplined and patriotic citizens, which was created under the Indian Defence Act, 1917 with the Aim to make up the shortage of the Army. Upon the recommendation of the committee headed by Pandit H N, National Cadet Corps came into existence under the National Cadet Corps Act XXXI of 1948 under the Ministry of Defence (MoD). The Naval Wing was introduced in 1950 and the NCC curriculum was developed at the behest of Late Pandit Jawaharlal Nehru who took a keen interest in the growth of the NCC. 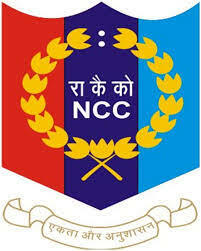 Following the 1962 Sino-Indian War, to meet the requirement of the Nation, the NCC training was made compulsory in 1963. In 1968, the Corps was again made voluntary. To develop qualities of character, courage, comradeship, discipline, leadership, secular outlook, the spirit of adventure and sportsmanship and ideals of selfless service among the youth to make them useful citizens. To create a human resource of organized, trained and motivated youth to provide leadership in all walks of life including the Armed Forces, and be always available for the service of the nation. To create a suitable environment to motivate the youth to take up a career in the armed forces. D.B.Pampa College has been allotted one Division of Senior Division /Wing Naval Wing NCC Sub unit on 20th March 2018 with a total strength of 50 cadets. There will be 33% seats reserved for lady cadets. 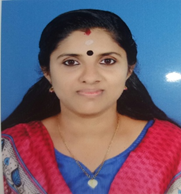 Our NAVY NCC unit functions under 3(K) Navy Unit Kollam, of the Kollam group NCC headquarters. The total tenure of a cadet is 3 years. Enrolment of cadets in the NCC is made at the beginning of the academic year. The cadets have to undergo a minimum of four hours training a week, so as to make a total of 80 training hours a year. Training is imparted usually on Saturdays. During this period he/she has to attend two Annual Training Camps for being eligible to appear for the NCC- B & C Certificate examinations. Apart from the regular training activities, interested cadets will get opportunities to attend Ship attachment camps, trekking camps, Sea-sortie programs, Mountaineering camps, Paragliding&Scuba Diving events, Advance Leadership Camps (ALC) etc. Selected cadets, if interested, may get chance to attend Republic Day Camp (RDC) and even attend Youth Exchange Program (YEP) with friendly countries of our nation.